A little piece of Austria seemingly misplaced in Italy: a village of pastel coloured Alpine architecture, breweries, sachertorte and a Sound of Music snowy backdrop. 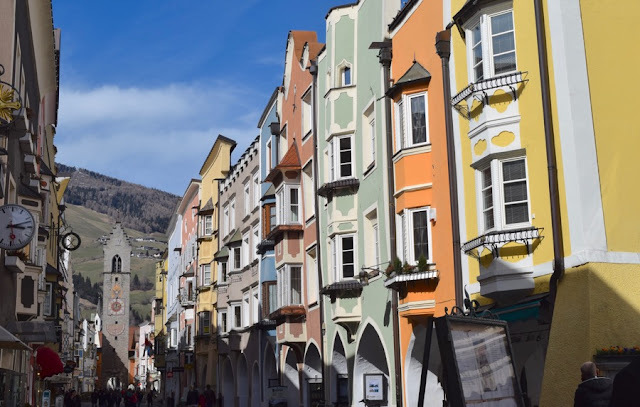 As one of the highest rated places to live in Italy, it is a delight to wander around the streets bedecked with flowers and sample fantastic fusions of Italian and Austrian food. 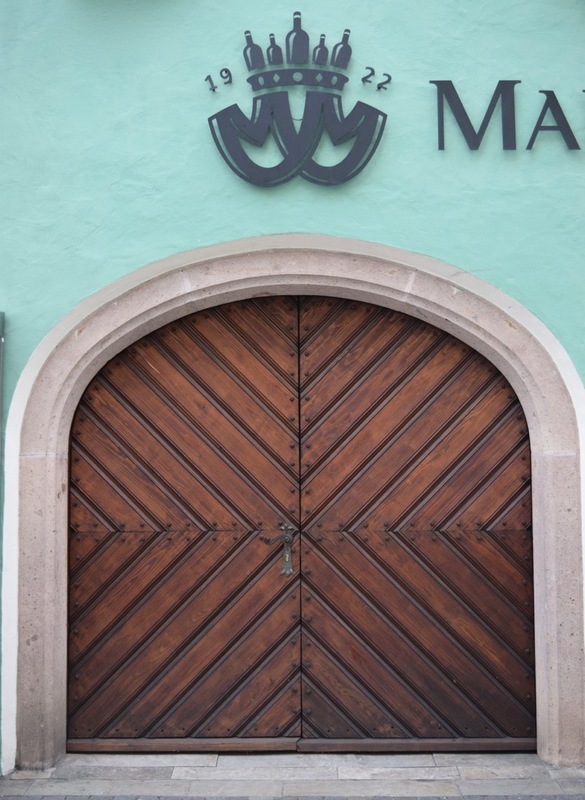 But this charming façade also disguises a troubled, complex history and political, linguistic and cultural disputes that still exist today. 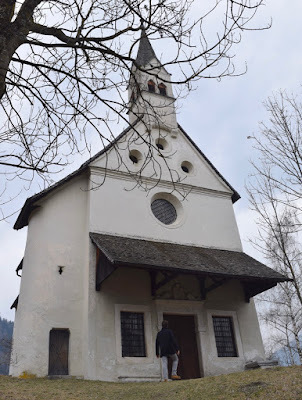 Vipiteno (German: Sterzing) sits very close the border with Austria, on the road that leads to the Brenner Pass. Map. VIPITENO IS ONE of the most attractive towns in the region trapped in the ‘wrong’ country, i.e. South Tyrol (or, as the Italians call it, Alto Adige). This region has a complex and moving history. In 1918 South Tyrol was annexed by Italy, drawing a frontier along the Brenner Pass. Like a scythe this cut violently through an area of collective culture and nationality. There were protests, but to no avail. Although for a few years the new Italian nationality of this German-speaking population was not evidentially enforced, the rise of Fascism was about to plunge their South Tyrolean identity into chaos. With Benito Mussolini in power, South Tyrol/Alto Adige was subject to ‘Italianisation’ by force. German schools were closed and Italian superseded German as the official language in public offices. For the next 60 years this region would be subject to continual identity flux, including a choice for inhabitants to emigrate to Germany in 1939 or remain as true Italian citizens, being annexed to Nazi Germany in 1943, and then returning to Italian hands after the war. This crisis culminated in the late 1960s with the South Tyrolean Liberation Committee committing fatal acts of terrorism in protest against the lack of autonomy in the region’s government. 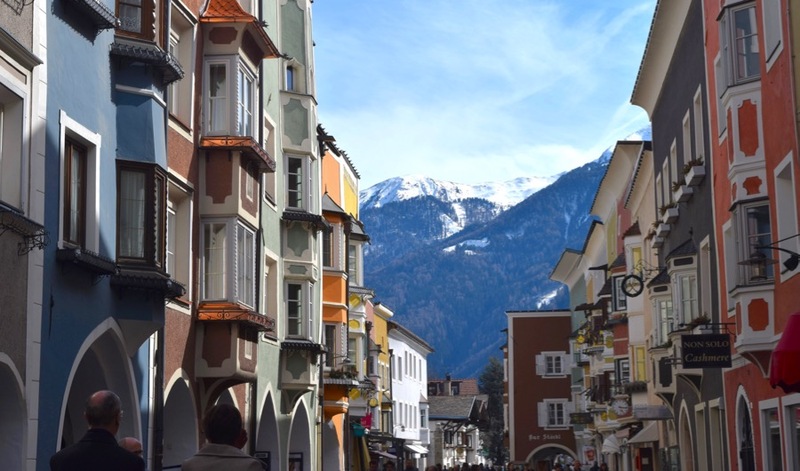 In the late 1960s an agreement was reached for greater self-government of the South Tyrol province, and it has since grown into one of the wealthiest and highest rated places to live in Italy. Admire the Torre delle Dodici (German: Zwölferturm, 1469), the narrow needle of a clocktower that elegantly separates the Città Vecchia from the Città Nuova, decorated with a clock face and sun dial dating from 1473. Castel Tasso sits astride a rock in the south of Vipiteno and is one of the oldest, most historically rich and best preserved castles in the region. Dating from the 12th century, it features intact walls, rooms with ancient furniture and gothic fireplaces. 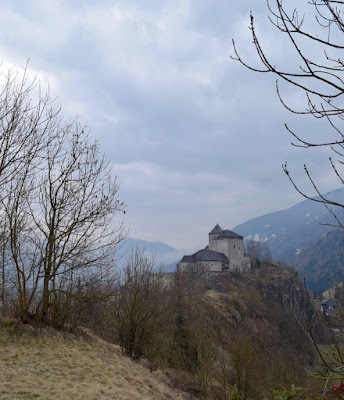 High on another rock near the castle sits the tiny church of San Zeno, from 1300. 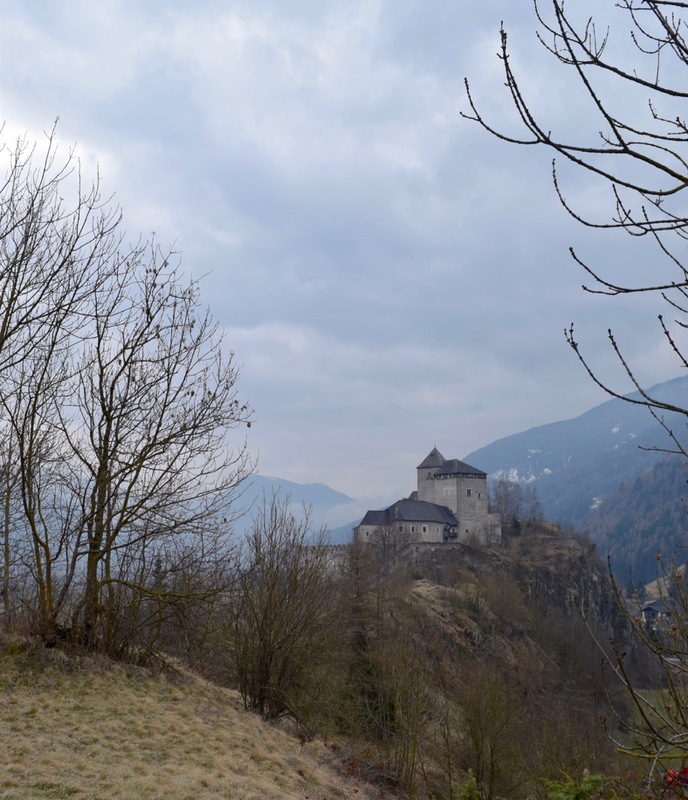 A nice bracing walk takes you up to the little church and affords a magnificent view of the surrounding countryside and castle. You can find many traditionally ‘Tirolese’ products like sachertorte and strudel to take home as gifts. All the patisserie looked very enticing and we tried at least three and were satisfied by all. Speck, produced locally, is often available vacuum packed so you can take it home as a gift. A shop called Il maso dello speck on the main street in the Città Vecchia should fulfil all your culinary desires! 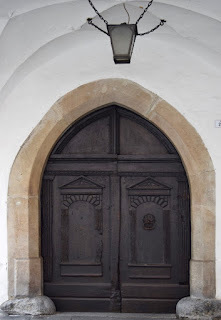 I think this town could be awarded an accolade for most beautiful doors. Along the high street every one was intricately carved with coats of arms, floral wreaths and architectural elements. The gastronomy is also notably Austrian, with a celebrated Latteria producing milk, butter and yoghurt. Indeed there is a festival of yoghurt in July and August where restaurants in and around Vipiteno prepare traditional dishes and new creations using the quality yoghurt from the Latteria Vipiteno. Here you must also try canederli and speck. Canederli are similar to dumplings but are made from dried bread, milk, eggs and flour and flavoured with cubes of speck and cheese. There are different varieties in rainbow colours for example green containing spinach or pink containing beetroot! They usually come in brodo, a soup or broth, or coated in melted cheese. There is a sagra (meaning festival) of canederli on the second sunday of September which means lots of free samples and experimentation! 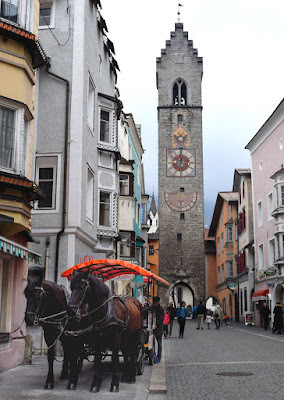 There are buses from both Brixen (Italy) as well as Innsbruck (Austria.) But a car would be very handy. The best time to visit is either during summer to coincide with the yogurt festival and with a rich programme of concerts and folk displays, or at Christmas time when, like many of the towns in this region, it transforms into a festive spectacle of lights, Christmas markets and warming food. Vipiteno also offers skiing and wintersports. feel happiness to read the content that you are posting.